Get Incredible Reliability and Strain Relief with Remke's M12 Etherlink Connectors. Remke's M12 Ethernet Cable Connectors are designed with industry-standard D-coding for Ethernet and Fieldbus use. 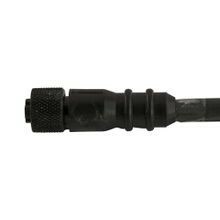 M12 connectors are very sturdy despite their small size, providing an incredibly reliable connection, even when subjected to shock or vibration. Remke M12 Ethernet cable connectors are rated IP 68, NEMA 6P and offer IEC 11801:2002 Cat5 compliance with TPE cable that is shielded against EMC interference. TPE cable is also ideal for flex applications in harsh environments where the highest degree of oil resistance and extended service life are essential. Rated IP68 and NEMA 6P, Remke M12 Ethernet connectors support data rates up to a Gigabit and are able to withstand the most rugged industrial environmental conditions to ensure high Ethernet or Fieldbus network availability. 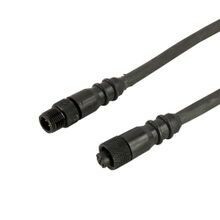 Quick and cost-effective to install and put into operation, these Remke M12 connectors are molded to shielded TPE cable for Cat5e data performance. 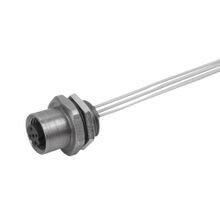 360˚ EMI shielding is important to all applications that depend on both high bandwidth and secure data transmission. RJ45 connectors are the most widely used connection technology for Ethernet systems. 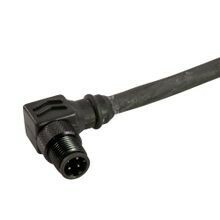 However, for Ethernet networks that must comply with protection class IP67 or 68, the M12 connector is best suited for those applications. 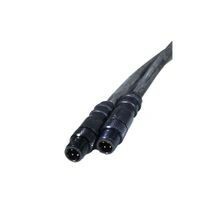 As both connectors offer Cat5 compliance, our double-ended cable assembly provides you with the IP68 protection of a Remke M12 Micro-Link molded connector & the compact design of the RJ45 connector for horizontal or vertical multi-port connections. TPE cable features an abrasion-resistant jacket with 3 times the low-temperature flexibility and resists solvents, chemicals and fuels better than ordinary PVC. Applications for Remke M12 Ethernet connectors include manufacturing, process control, factory automation and more. Remke Engineered Solutions is entirely focused on meeting the needs of a single customer. Our Job #1 is to develop application-specific, custom M12 ethernet connectors that meet precise specifications.